BERKELEY, Calif. The NorCal and SoCal High School Cycling Leagues combined raised over $100,000 at their annual CycleFest fundraisers. The SoCal League almost doubled its attendance over 2008. The NorCal CycleFest, which featured Jonathan Vaughters of the Garmin Cycling Team, was generously supported by a long list of silent auction donors and sponsors. Heading this list are Specialized Bicycle Components, Fox Racing Shox, GU Sports, Ritchey Logic, NCNCA, Mountain Hardwear, Syncros, Mike’s Bikes, Clif Bar, Marin Cyclists, and McGuire Real Estate. The weekend’s festivities, comprising a cocktail reception, gala dinner, and 50-mile CHP-supported ride, raised a total of more than $60,000 and were attended by 400 people. The SoCal Interscholastic Cycling League enjoyed a massive boost in attendance over its first-year fundraiser in 2008. Bob Roll entertained 150 diners aboard the Queen Mary luxury ocean liner, moored at Long Beach. Many companies contributed to the dinner and silent auction, including Kaiser Federal Bank, Team Sho-Air, Specialized Bicycle Components, SoCal Endurance, Turner Bikes, Stan’s Monrovia Cyclery, Mellow Johnny’s, PAA Cycling Club, and Team Kareen. A total of $40,000 was raised. 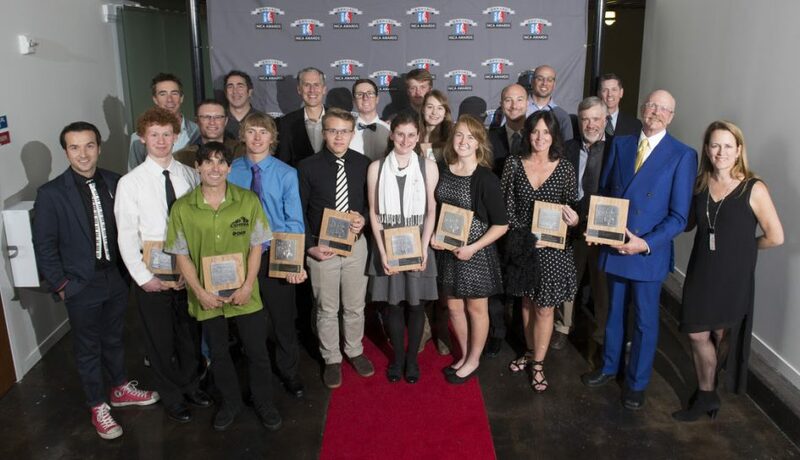 The emerging Colorado High School Cycling League will have its inaugural CycleFest dinner in Denver, on April 24th, 2010. Luis Angel Ramos received a cheap mountain bike as a gift when he was 12. Ramos would ride it around the city streets in Oxnard and occasionally go as far as Camarillo. But Ramos realized there was an entire world beyond the pavement and wondered what it would be like to explore the back country on two wheels. The Channel Islands High senior never thought he would have the chance until this year. 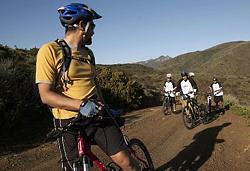 Defying cultural stereotypes and overcoming financial hurdles, Channel Islands High has formed a mountain bike club. The Raiders are the only Ventura County team participating in the inaugural season of the Southern California Interscholastic Cycling League. They finished second in their first race last month while competing against many teams with more experience and better equipment. Their final race is May 3 at the Cow Pie Invitational in Santa Ynez. 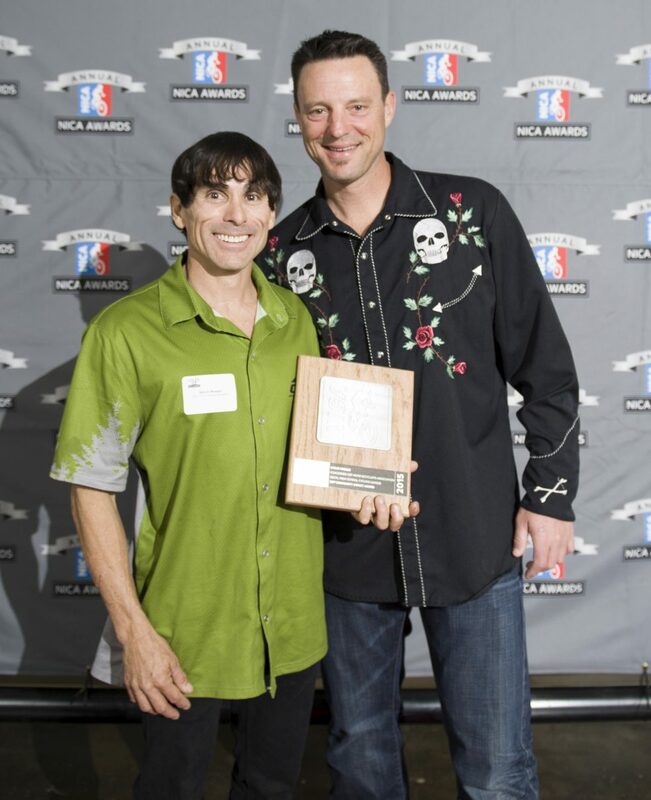 The club was the brainchild of Erick Kozin, the owner of NEMA International, a mountain bike apparel company in Ventura. Kozin, 34, who raced professionally for five years, heard about the high school league while attending the CORBA Fat Tire Festival at Castaic Lake. Kozin thought it would be great to have a team from the county participate. His brother is a counselor at Channel Islands, so Kozin ran the idea by him and was put in contact with school administrators. Channel Islands announced the formation of the club over the school intercom last November. Kozin expected maybe a handful of kids to show up for the first meeting, but ended up with more than 20. Most of the students expressed an interest in trying something outside of the average sports, although only one or two even owned a bike. Quality mountain bikes can cost anywhere from $500 to $4,000, a price nobody on the team can afford. But Channel Islands is receiving assistance from several sources to keep the team on the trails. Trek Bike Store in Ventura has loaned the club two bikes for this season while Kozin and assistant coach Alfredo Salcido are providing the other four. Last week, the Channel Islands Bike Club approved a $6,000 grant for the high school team, and Albabici LLC — an Italian cycling supplier in Oxnard — has given the team free shoes, bike seats and bags. 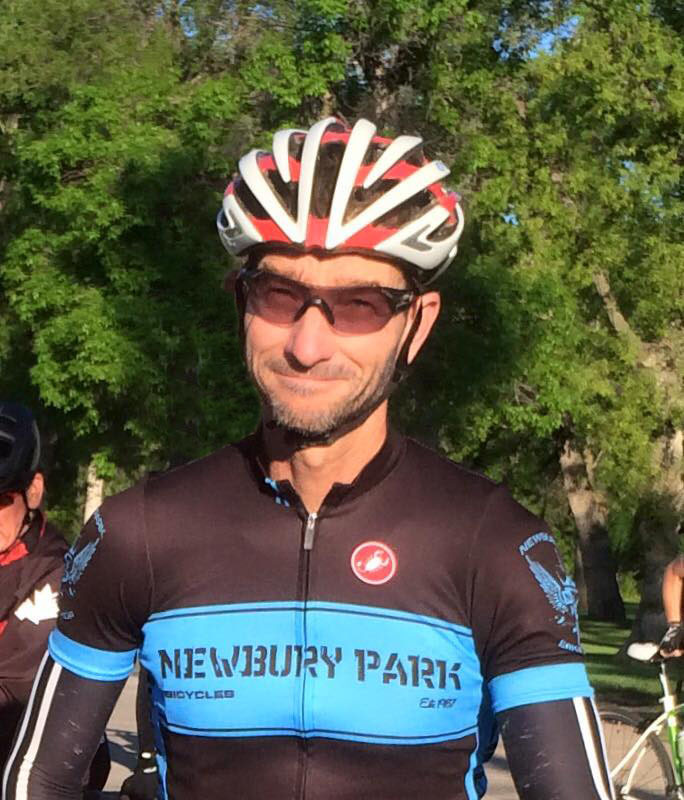 Quintin Easton is the president of the Southern California Interscholastic Cycling League. After being laid off from his job at Wells Fargo two years ago, Easton went on a mountain bike ride to figure out the next step in his life. He always enjoyed working with kids, and realized many were deprived of the joys of mountain biking. Easton wanted to start a series races for high school students, and discovered there was already a similar league in place in Northern California. He contacted the founders of the Northern California High School Mountain Bike Racing League, and inquired about extending it to Southern California. The founders said they would love to, but didn’t have the money. 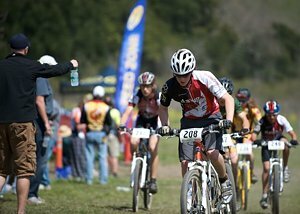 OAKLAND , CA – The Northern California High School Mountain Bike Racing League (NorCal League) will launch the Southern California Interscholastic Cycling League (SoCal League) in the 2009 academic year with grant support from the Easton Sports Development Foundation II. For information about the SoCal League visit www.socaldirt.org and visit their booth at CORBA’s Fat Tire Fest on October 12, 2008. Also, visit CORBA’s SoCal League web page. At our February 2017 board meeting, we were excited to have a new nominee for our Board of Directors. His approval was unanimous. We welcome Peter Sullivan to CORBA’s Board. Peter has been active in cycling since his Schwinn Stingray days in the 1970s. He’s been riding and racing since the earliest days of mountain biking, and still competes. He also enjoys getting out and exploring on his gravel grinder. Most recently, he’s been tightly involved in the SoCal High School Cycling League as a coach for the Newbury Park High School Mountain Bike Team. Newbury Park took third place in the high school State Championships last year, a reflection of Peter and his fellow coaches’ dedication and effectiveness.As a high school coach, he’s already given back so much to the sport, and especially to the student-athletes he has trained. Mentoring student-athletes, and helping them build confidence, fitness and bike handling skills are just a part of it. Sharing his love of the sport completes the package. He’s seen the sport grow from its roots in the 70s, though its infancy in the early 80s, to an Olympic, College, and High School sport today. He’s seen mountain biking become more and more popular and understands all too well the importance of actively working to keep access to our existing trails and to seek out and open up new opportunities. As mountain biking grows, so must our access to quality trails and places to ride. “Mountain biking and cycling have given so much to me over the years that I thought it was time I give back,” said Sullivan. “I’m excited about having a bike park project in my neighborhood too,” he added. 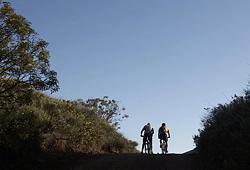 One of the newest opportunities we have is the Sapwi Trails Bike Park in Thousand Oaks. 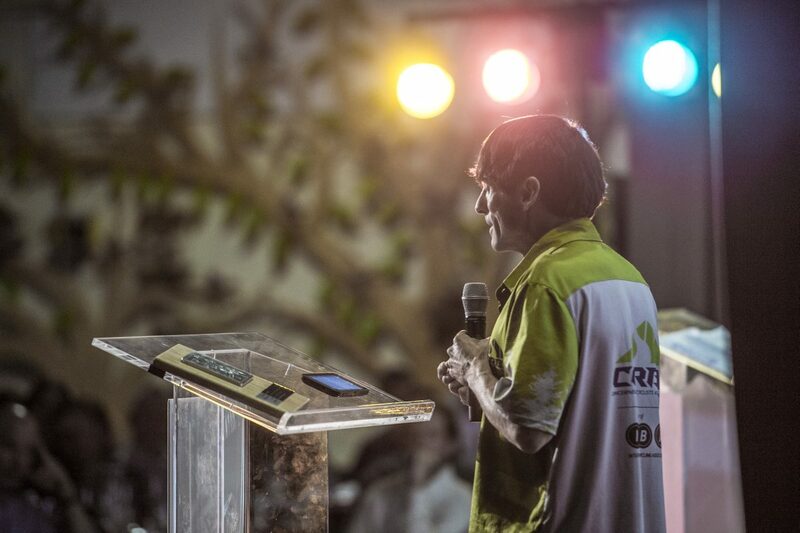 Peter has been an advocate for this project since its inception. He’ll be serving on a new committee to oversee development of the bike park, and is excited to work on this project. We’ll be holding a meeting about it in a few weeks, so stay tuned. CORBA is fortunate and excited to have Peter’s local knowledge, enthusiasm and dedication working with us to support all mountain bikers in SoCal. Again, welcome and thank you Peter. 2016 is behind us, and what a year it was for CORBA and mountain bikers! 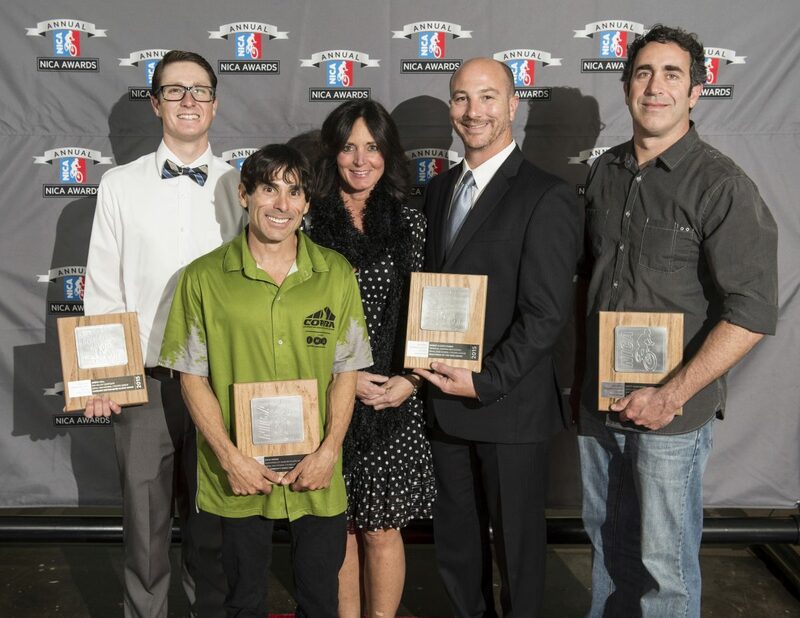 We were extremely busy last year, cutting trails, cutting trees, and working on behalf of the mountain bike community to ensure continued and improved access to mountain biking in the greater Los Angeles and Eastern Ventura County areas. 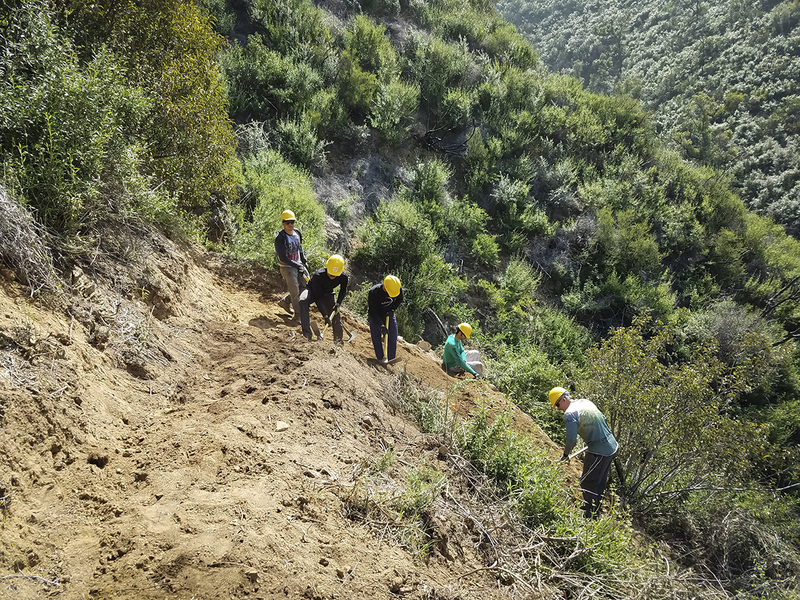 In 2016, the Gabrielino Trail Restoration project, with REI, Bellfree Contractors, and Los Angeles Conservation Corps, was completed. 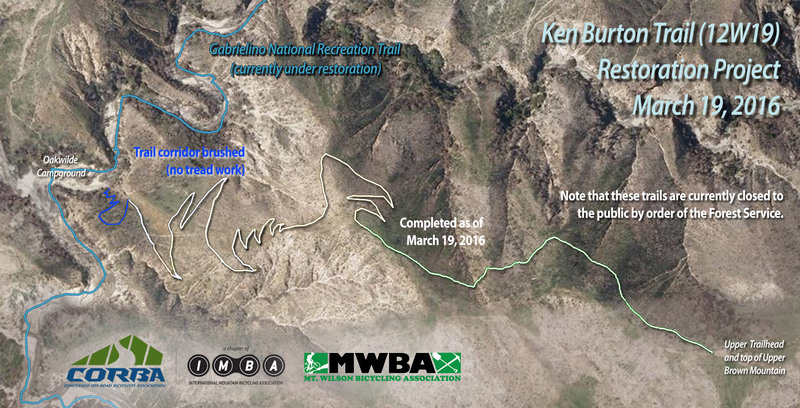 Ken Burton Trail restoration with MWBA was completed, opening the Ken Burton trail and a popular loop after seven years of closure, thousands of volunteer hours, and nearly three years of planning. October 25, 2016 was a great day for trails, open space and bike parks in Los Angeles County. Some time ago, we learned that the Puente Hills Landfill Park Master Plan would be on today’s County Board of Supervisors agenda. Last week, we were notified that the Castaic Multiuse Trail Master Plan would be on the same agenda. Kevin from SCV Trail Users speaks to support the Castaic plan. Both these plans include Bike Skills Parks, as proposed by CORBA to the County in 2011. It’s been a long process with much input from local residents, trail users, mountain bikers and environmental and social justice organizations. 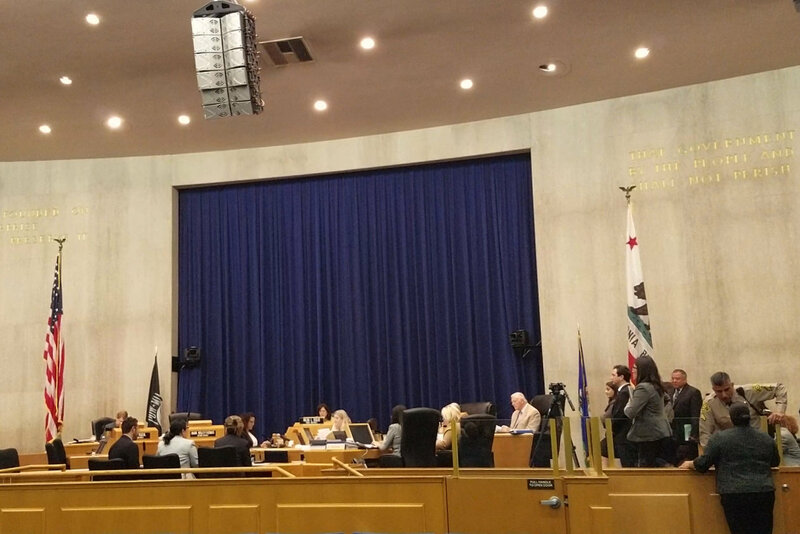 With these bike skills parks appearing on their respective master plans, which will be incorporated into the County General Plan, we have confirmed a future Los Angeles that will include bike skills parks. The Puente Hills plan includes two bike skills area, one in Phase One, and a second in Phase two. The Castaic plan identifies three potential bike skills park sites. The plans do not include specific bike park designs. These designs will take some time, and much community involvement. The onus will be on us, the mountain biking community, to follow through and remain engaged in the design process, and ultimately, to help raise funds and build these facilities. These planning documents are intended to guide long-term development over multiple decades, as funding and other opportunities become available. Fully realized, they will provide many miles of multi-use trails, trailhead staging areas, and other amenities. The Puente Hills plan includes multiple recreational amenities, including public performance spaces, a zip line, bike skills park, dog park, and balances that with habitat restoration and native landscaping. There is something for everyone. Four of us spoke in favor of the Castaic plan, including CORBA, the SoCal High School Cycling League and SCV Trail Users, while one local resident expressed concerns that a proposed trail in the plan traverses her property. 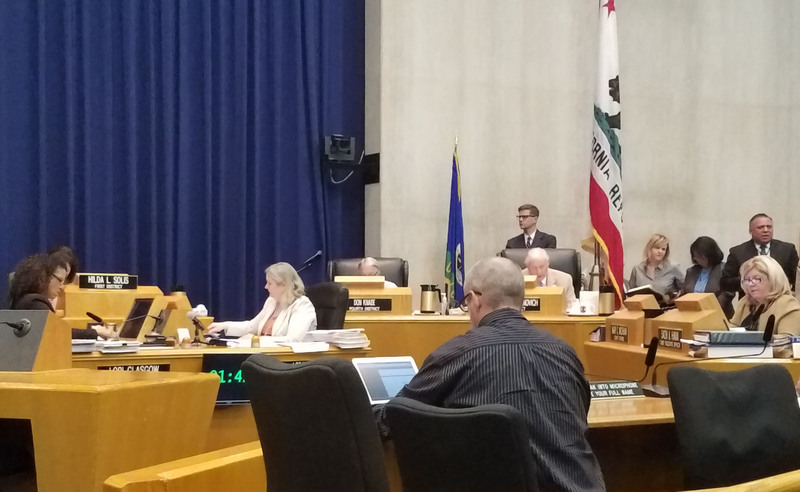 Supvervisor Antonovich asked the park planning staff how the plan addresses and protects private property rights and received assurances that easements or property acquisitions will only take place from willing sellers. Over 30 people came to speak on the Puente Hills plan, rallied by our friends at Bike SGV, the San Gabriel Mountains Forever coalition, Los Angeles County Bicycle Coalition and CORBA. It was obvious to the County that there is tremendous community support for the plan, so it wasn’t necessary for all 30 to speak. Wes Reutman from Bike SGV, spoke on behalf of the group. Support also came from the Wilderness Society and the Trust for Public Land. We want to express our sincere thanks to both the County Department of Parks and Recreation, and the County Supervisors for supporting the development of these plans. We also extend our appreciation to Alta Planning for their great work on engaging the Santa Clarita Valley community in the development of the Castaic Plan, and Withers & Sandgren Landscape Architecture firm who were enlisted as the prime consultant on the Puente Hills plan. Both the Castaic and Puente Hills planning processes typified the type of extensive community outreach and engagement that are necessary to develop viable community-driven plans that reflect the desires and address the concerns of the community and trail and park users. Of special note is the long-standing support for trails and open spaces exhibited by Supervisor Antonovich, who will term out at the end of this year. His legacy includes the Santa Susana Trails Master Plan, and the Castaic Multiuse Trail Master Plan. As an equestrian and a champion of multi-use trails, Supervisor Antonovich has arguable had a greater impact on trails in Los Angeles County than any other single elected official in the area. In fact, 30 years ago, I served as assistant race director of the Olive View Challenge, a running, cycling, mountain biking and BMX event raising funds for Olive View hospital. 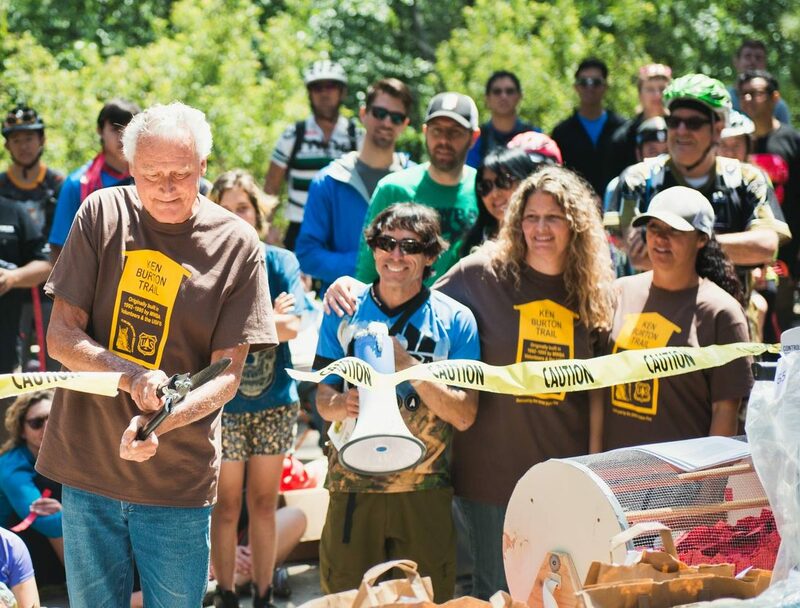 Supervisor Antonovich was an ardent supporter of our nacent mountain biking race then (the first ever sanctioned mountain bike race on County and National Forest lands). He’s been a champion of trails since, and throughout his career in County government. While a great step forward, there is still a lot of work to be done before we’ll be shaping dirt into pump tracks, jumps, and skills features at either Castaic or Puente Hills. We hope to begin the design phase for Castaic as early as next year. Puente Hills needs a few more years for the landfill to settle, and phase one will likely begin in late 2017 through 2019. 2015 has been one of the most active in CORBA’s history. There has been so much happening in our local mountains, in our sport, in our public lands, in the political landscape, and in bicycle advocacy in general. 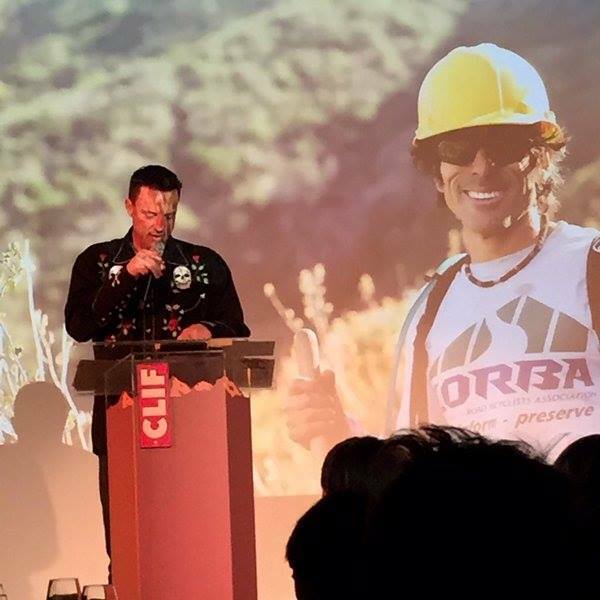 As always, CORBA has done its best to stay on top of the issues, to be leaders in the trail community, and to have a positive impact on our trails, our public lands, our community and our sport. Here’s a quick recap of what’s been happening this year, showing how your membership dollars and donations are being used to benefit all mountain bikers in the Los Angeles and Eastern Ventura Counties. Much has happened this year on the mountain bike advocacy front. One of the biggest issues has been the start of the process to develop a Management Plan for our year-old San Gabriel Mountains National Monument. The National Forest Foundation convened a Community Collaborative group to develop a broad base of support from a diverse range of stakeholders to help guide the Forest Service in its management of the Angeles National Forest and the SGMNM. CORBA has been involved from the start, in 2014 on the committee to establish the Collaborative, and this year as an active participant in the Collaborative. Forty-five diverse interests are represented, some of whom have traditionally found themselves at odds with our community. This has truly expanded our outreach and strengthened our place in the community. We’re also continuing to work with Los Angeles County on several fronts: the Castaic Area Trail Master Plan, the Los Angeles County Trails Manual, the now-completed Santa Susana Mountains Trail Master plan, the LA County Park Needs assessment, the Altadena Crest Trail Restoration, the Puente Hills Landfill and bicycle access to trails in general. This year we joined the Los Angeles Bike Park Collective. We have pending Bike Park proposals with Los Angeles County, the City of Los Angeles, City of Glendale, and Thousand Oaks. Fillmore Bike Park opened this past Spring. 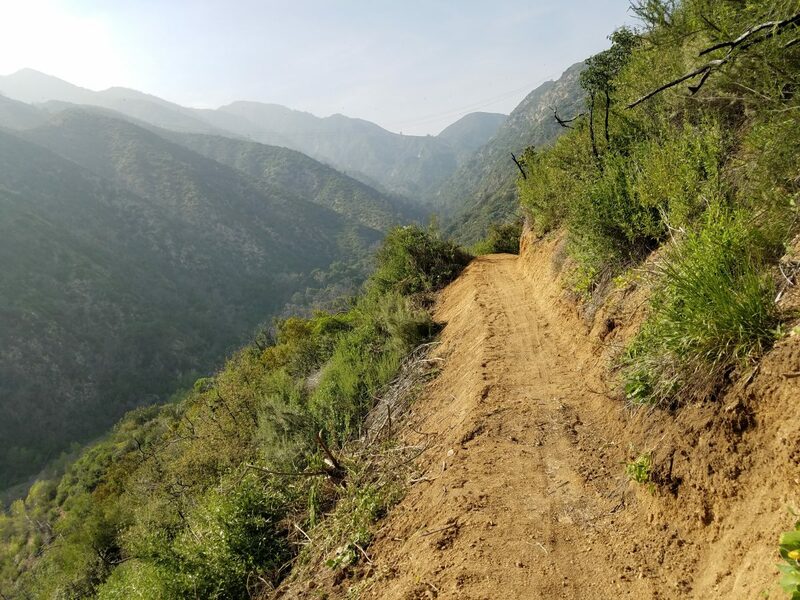 We’re closely monitoring the development of the Santa Monica Mountains Trail Master Plan, which is expected to come out in draft form in 2016. We saw the Rim of the Valley Study completed. Legislation was introduced to create a new National Recreation Area, and expand our new National Monument. We’ve worked with legislators on a pending Wilderness bill, to ensure that it has minimum impact on mountain biking. We’re continuing to work with the Sierra Club and Wilderness Society to ensure that their efforts to protect our public lands do not impact our ability to enjoy them. This year new e-bike legislation was introduced. Early drafts could have been interpreted to allow electric mountain bikes on non-motorized trails. We worked to clarify that this does not makes e-bike legal on trails. We’ll be watching the e-bike debate closely as they become more popular. There’s a pending application to build a hotel on the DeAnza Trailhead. CORBA took the lead on asking the City of Calabasas to do a full EIR. Outside the area, we’re keeping an eye on wilderness proposals in the Sierra Nevada mountains and BLM land swap proposals in the San Jacinto Mountains, both with the potential to close trails to bikes.